Bring Me Back by B.A. Paris - Website of saraonnebo! 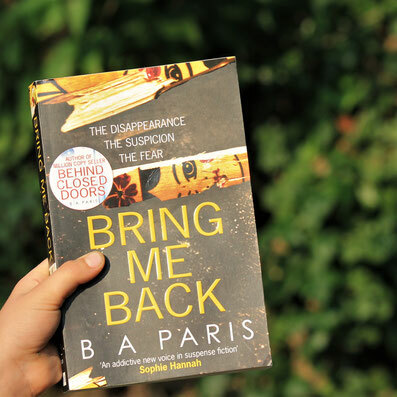 Book review: Bring Me Back by B.A. Paris. Unique, compelling and disturbing. This is an addictive read that I finished on the first day of my holiday. I really enjoyed the storytelling, the character descriptions and all the unexpected twists. Five stars from me!